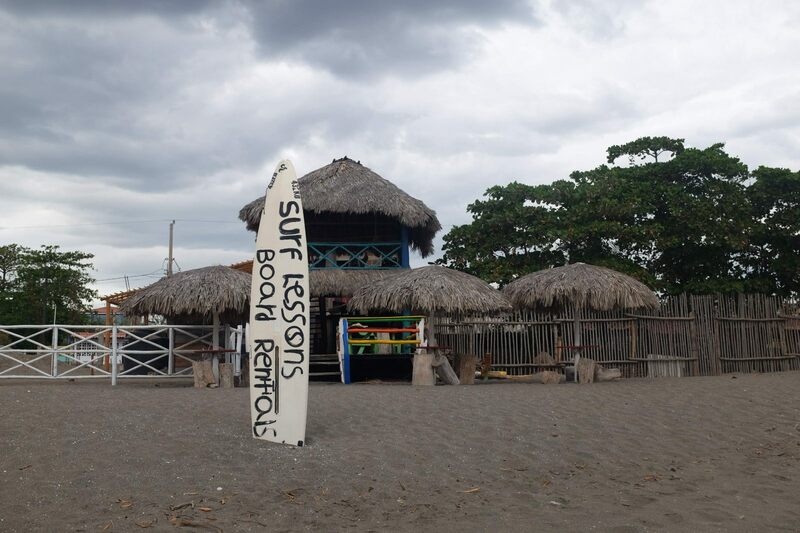 From Managua airport, organise a pick up from Hostel de Boca en Boca who will be waiting for you at the international departures with your name on a board. 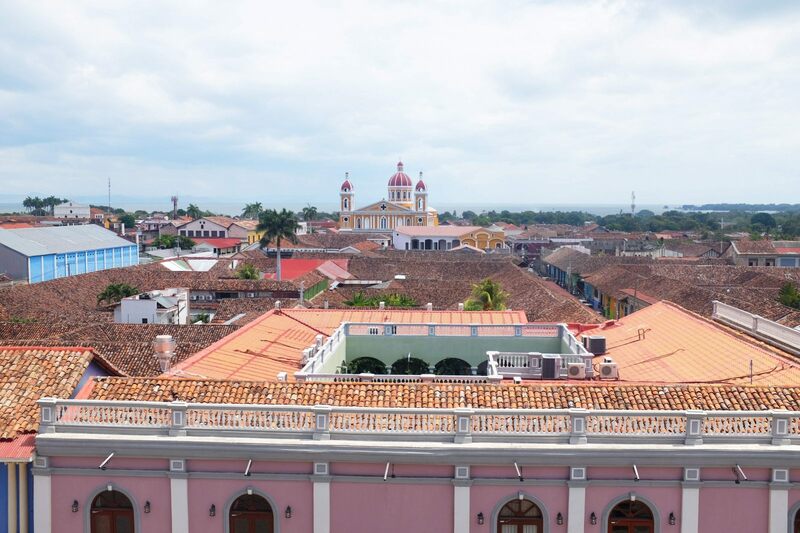 Granada is only one hour away from the airport and will cost you in taxi $35. 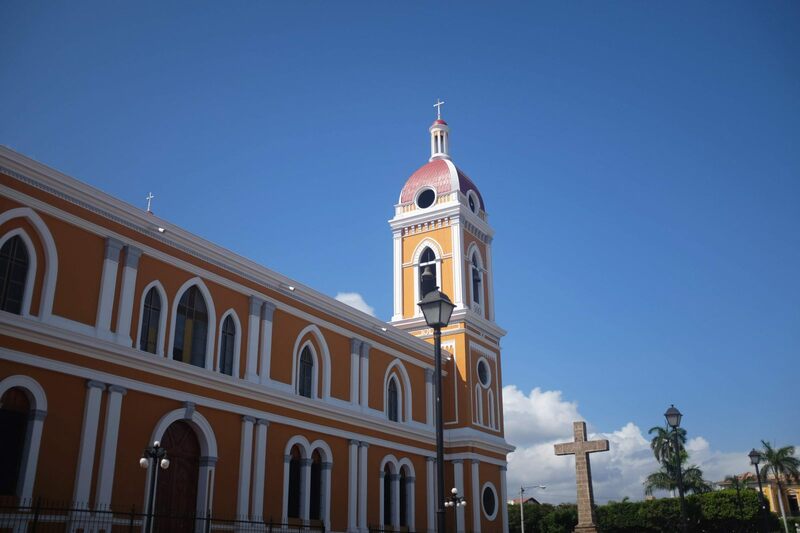 If Granada is your last stop, book a shuttle from Oasis for $15 pp to Managua Airport. - Reilly’s for dancing and some great backpackers party time! 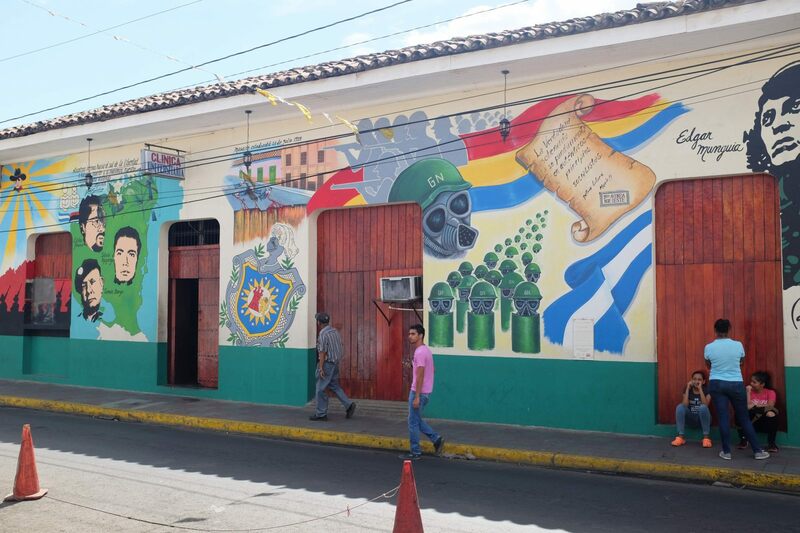 Pali , 4 blocks away from the Hostel De Boca en Boca , straight after the Iglesa del Merced. Perfect for cooking back at the hostel. 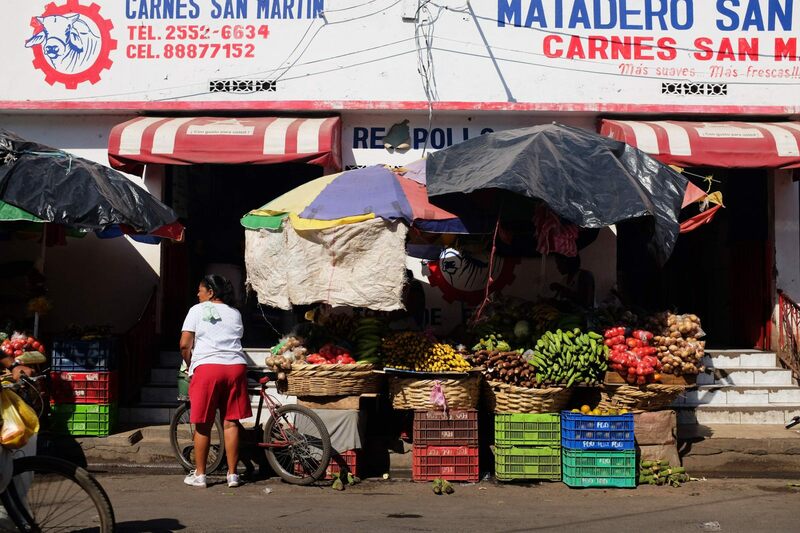 Fruits and Veggies are cheaper than in the food market in the streets because prices are set and locals will not give you gringo* prices. *did you know where gringo nickname come from? Back in the day when the Americans arrived in Mexico, policemen were wearing green costumes and were not very welcomed. That’s why Mexican were saying “Green Go” and the nickname became gringo. Now even in Asia it is being used by locals to describe white tourist people! 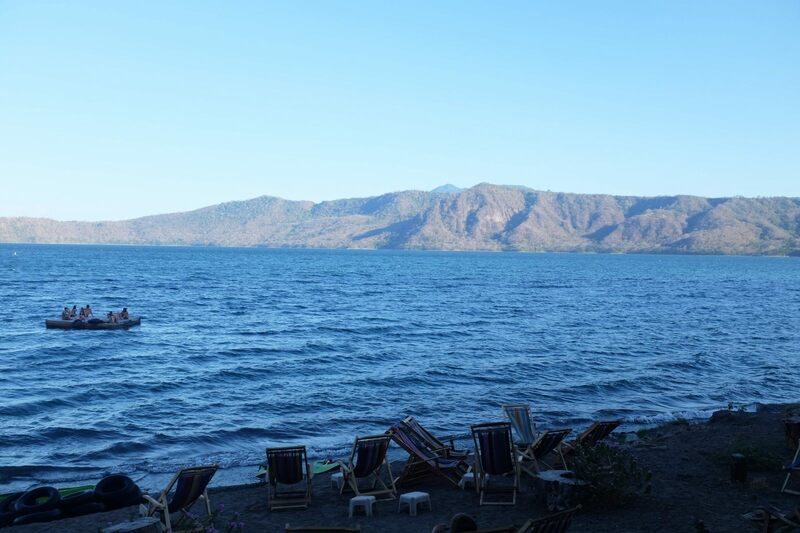 Day-trip from Granada to Laguna de Apoyo. 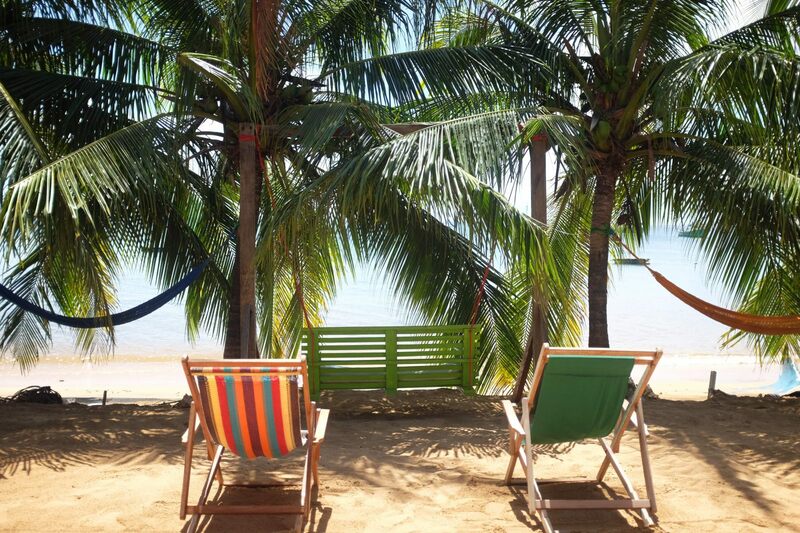 Leave at 10AM arrive at 10:30AM, spend the day at Paradiso Hostel for $7 (including Free Kayak and Transats). Go back to Granada around 4PM. 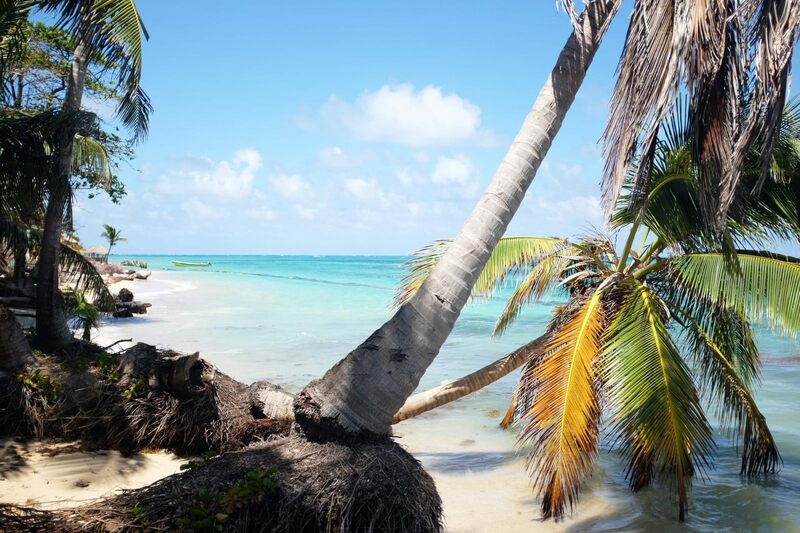 Stay one night or more in the Lagoon. From the hostel in Granada, book the same shuttle as option 1 except it’s $3 one way. 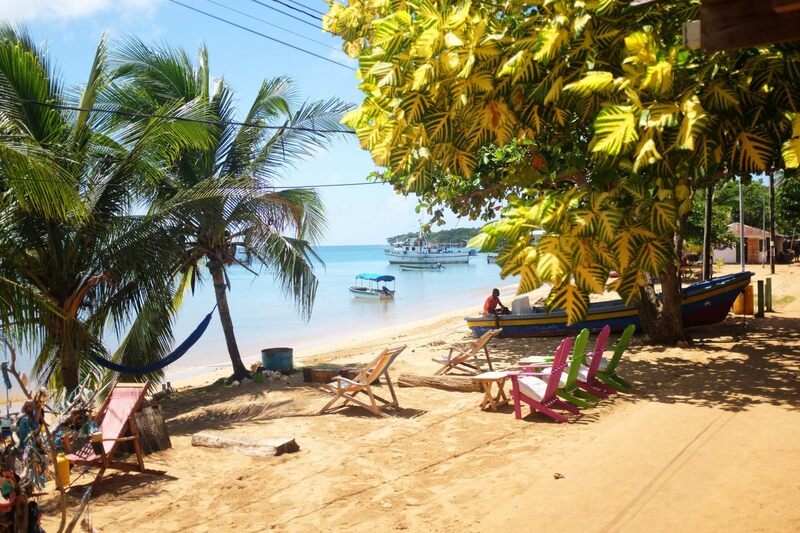 Stay at Paradiso Hostel (make sure to have a reservation prior to arrival as it gets booked up very quick - you’ll understand why once you get to this place!). Dorms are $12 with private bathroom, free kayaking, free tea and coffee, delicious restaurant & bar and THE view over the lagoon. Trust me, you will arrive booking one night, put your stuff in the room, have a quick look around and go back to the reception to book a second night! - Wake up at 5:30AM for sunrise behind the hills at 6AM, just sit down and enjoy the show. Right after the sun rises, jump in the water for a swim alone with the holley monkeys waking up and the fresh water or reach the sun with a kayak. Best feeling ever guaranteed! 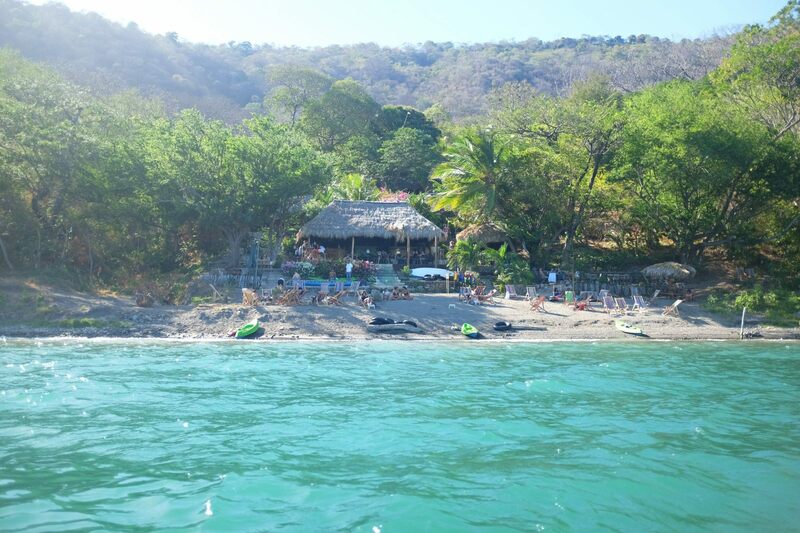 From Laguna de Apoyo, book a shuttle from Hostel Paradiso . Minimum 2 pax for $15. 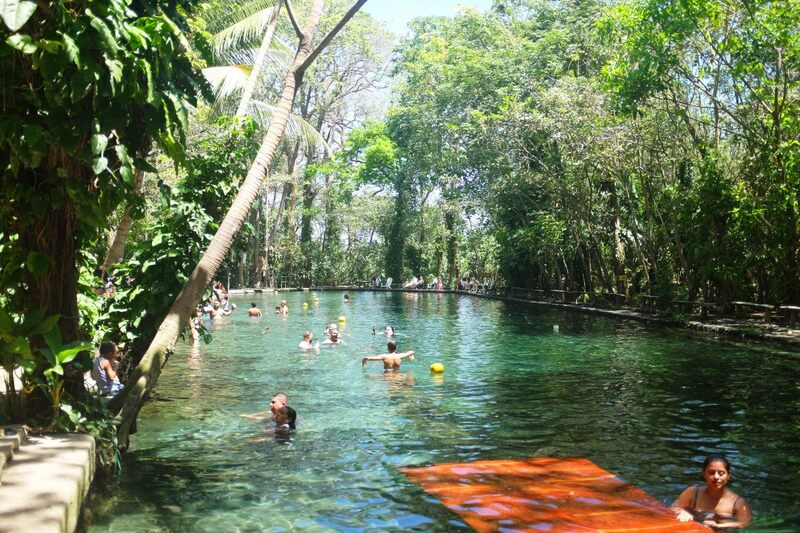 The taxi driver will bring you to San Jorge where you can take the ferry to Moyogalpa (Ometepe Island). 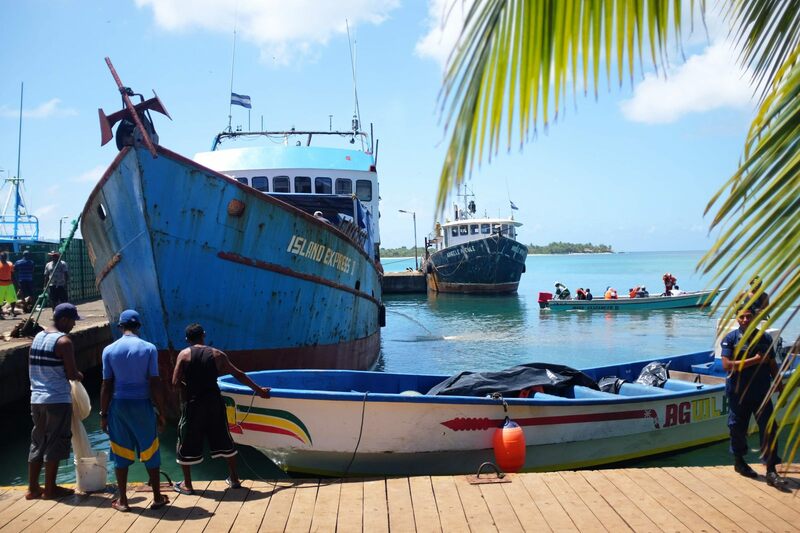 It costs C$35 (small boat) or C$55 (ferry). 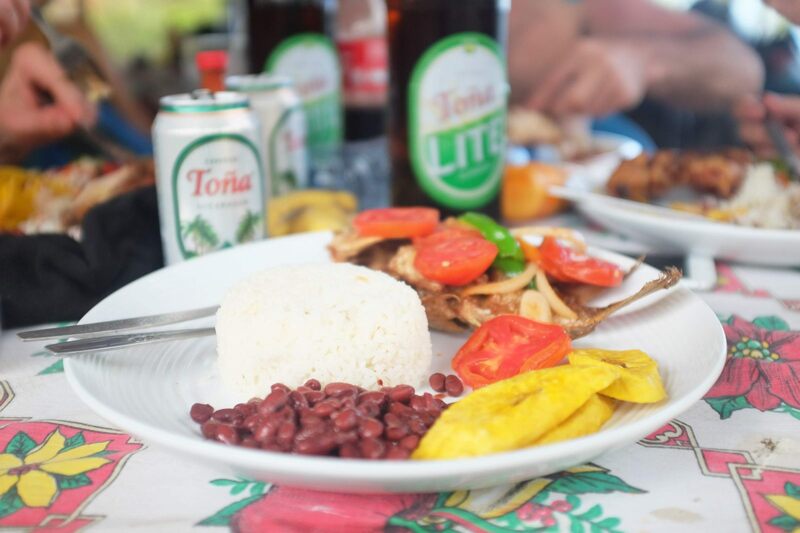 Warning: you may hold your hunger and only eat after the boat trip. Why? Because this is probably going to be the most turbulent one you’ll ever experience! 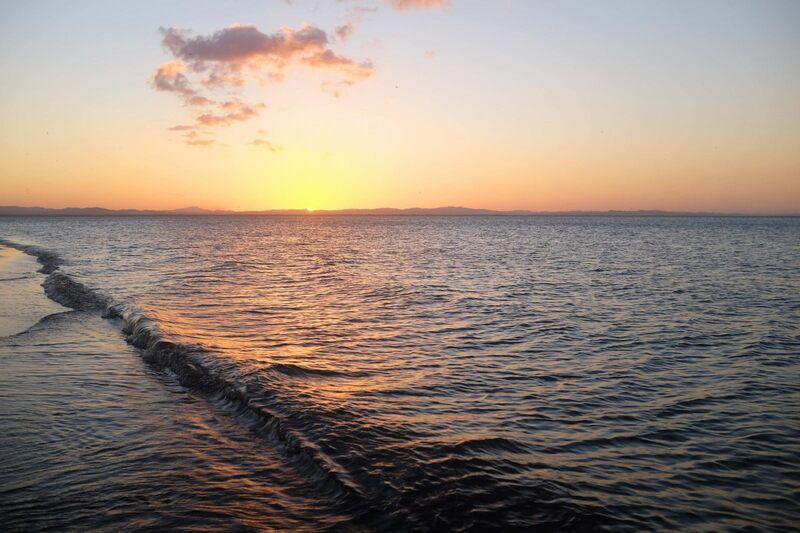 (no kidding - even the locals get sea sick…) Just be patient, drink water or coke, look at the horizon or close your eyes and in an hour and a half you’ll be in the beautiful and tropical island of Ometepe! The island is pretty big (yes you'll be surprised!) so depending of where you want to start you have multiple choices where to sleep. 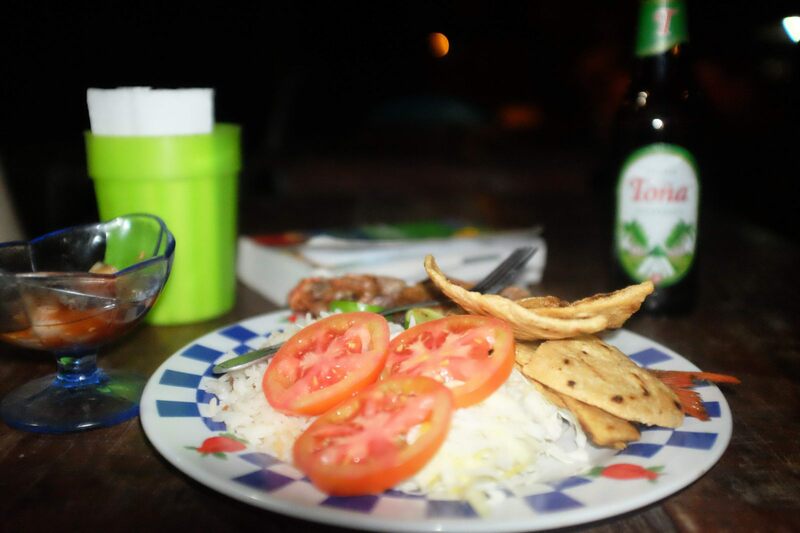 - If you’re looking for authenticity, no tourist and cheap accommodation, Hospedaje El Bosque is a great change of scenery and immersion into the “Nica” culture. Arisel, the owner will show you your room and have a quick chat with you. She is very very very nice and smiley and will be very happy to welcome you in her hostel. 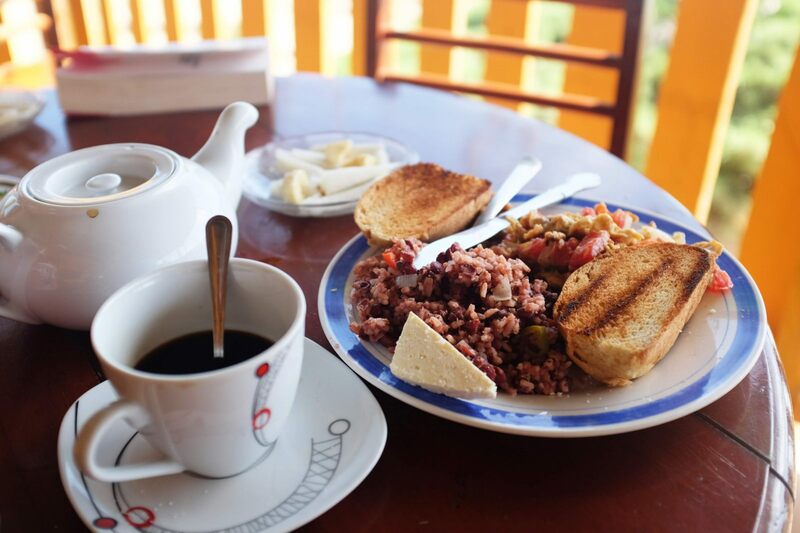 If you ask kindly she can prepare you breakfast for the next day and also a very nice coffee for C10. The room comes with a double bed, a fan, free wifi and a shared bathroom for $10. 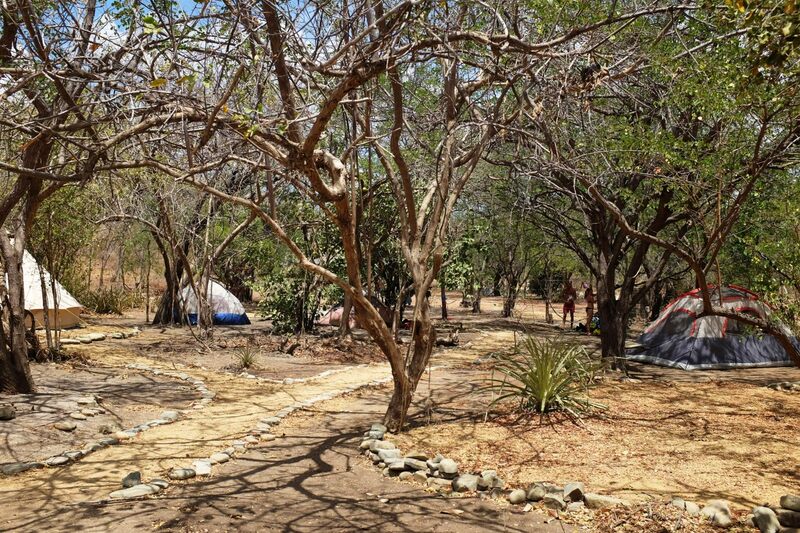 Great location, one minute away from the most beautiful beach of the island, near the bus stop and Ojo Del Agua attraction. 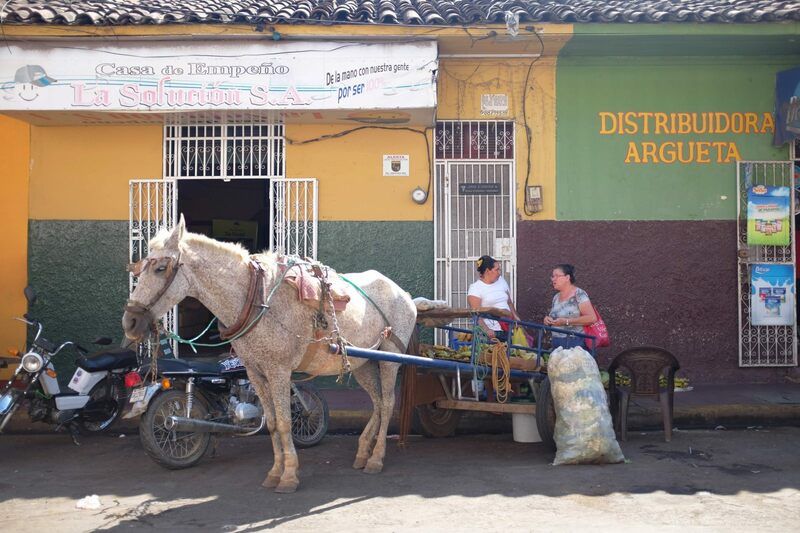 Little supermarket, ATM, horse and motorcycle renting, restaurants and internet, she has the perfect location! - If you're looking for making friends and partying with a bunch of cool people, the place to be is Hospedaje Central. The owners are super friendly and so are the volunteers. The restaurant and bar make it easier to gather around a bottle of rhum and a guitar. Trust me, there is no way you'll stay alone one night in this hostel, plus it's super cheap, great food and amazing location when you have to catch the ferry the next morning! Special thank you to the awesome team! Gas is very expensive and the island is pretty big these are the two most important things you must know before arriving because your hostel location will depend on it. There is no public taxis, only private and they run if you’re a decent group (to make it profitable). 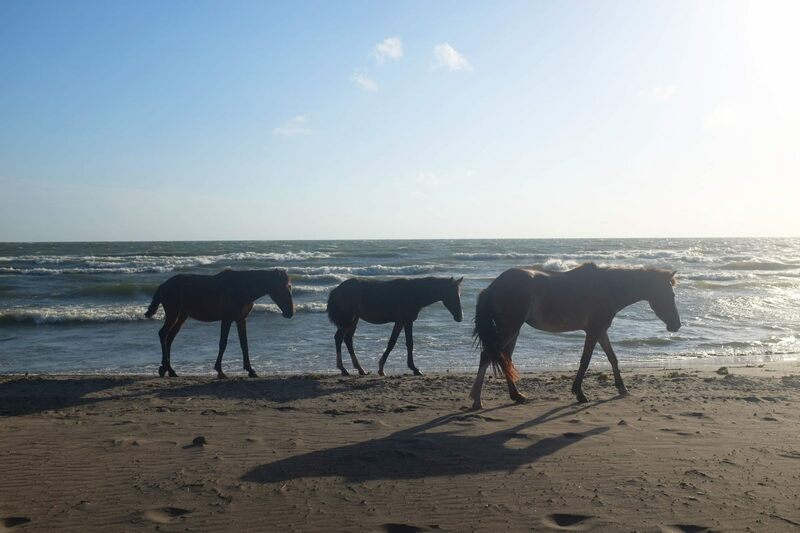 They will be waiting for you with a map of Ometepe Island at Moyogalpa port. From there to Balgüe for instance, count at least $10 and an hour ride in a van with AC and bluetooth music. The cheapest way is to take the chicken bus departing every hour or so depending when and where. Better ask the people around when is the next bus leaving. In the hostels you will also be able to ask for schedule. It costs C$ 20 per ride and you can ask the driver to drop you off somewhere specific although there are bus stops. Don’t worry about your backpack it will come on board too with no extra fee. 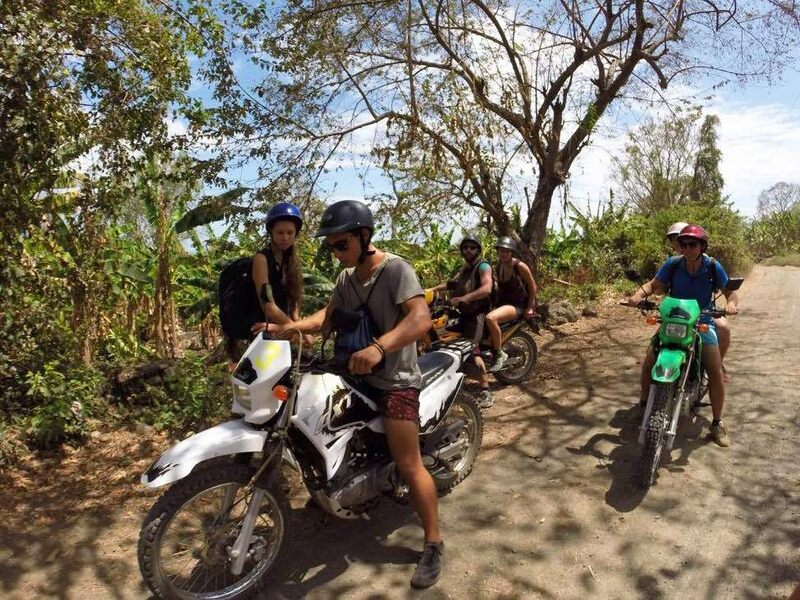 Scooter or bike for one day renting from Moyogalpa (if you rent if from other towns on the island it will be more expensive) $15 or $5 with passport hold as a warranty. 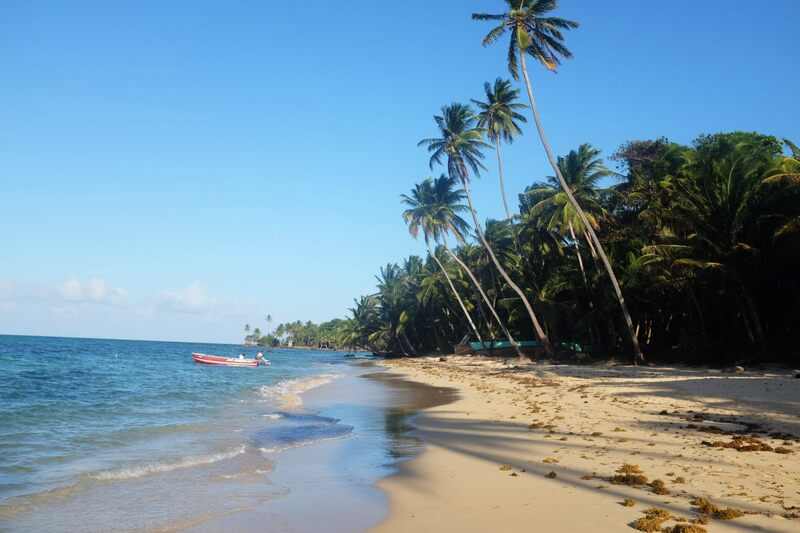 From Playa Santo Domingo, Ojo del Agua is only 1.5km away. Walking distance, count about 20 to 30 minutes. No need to call a taxi or a shuttle, the walk is actually very pretty. 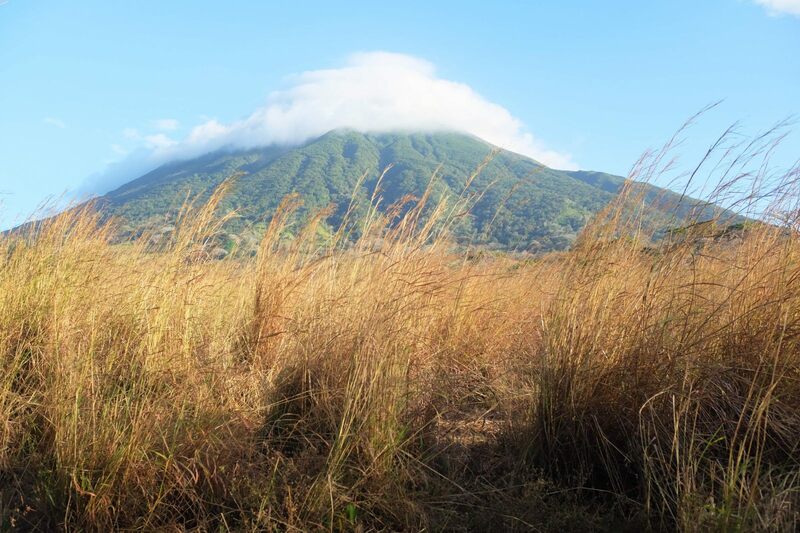 You will be walking towards Concepcion volcano with palm trees and green grass in the background, and the closer you’ll to the view of the volcano in the clouds. You will be sharing the road with banana trees, palm trees, cows, horses, dogs and a few bicycles or pick ups. The road is pretty quiet and not dangerous at all, it’s also super easy to stop at any time to take some photographs. Entrance fee for the natural swimming pool is $3 or C87. For campers, you can camp overnight and have the entire site for yourself since it is close to public at 6pm. Enjoy a swim and a coconut water or a coco loco (with rhum), there are seats, ropes and diving platform for the most adventurous! Leaving the site, you will have a few artisan stalls as well as a restaurant. I highly recommend you walk all the way until the end to the main road to meet Roger, a young man doing artisans for a living. He was taught how to make bracelets in an orphan in Moyagalpa and will explain to you how much time one bracelet needs to look like this. Super friendly he will enjoy a quick chat with you, and you’ll probably make his day buying of souvenir or two. 2. 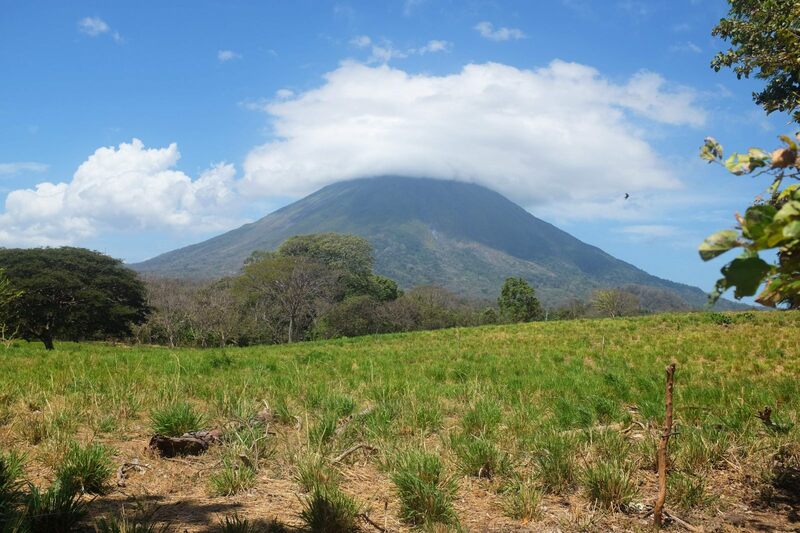 Maderas Volcano - no need to stop, you will just see it on your left until the next stop. 3. Comedor - you are gonna go through some dirt road for a while, for whom is sitting in the back, bum may hurt! This is the best part of this trip since buses or taxi will not go through here. You will see life through a local lens. Kids will wave at you and working men say hola with a friendly smile. Banana trees will surround you for a while, horses used as a truck for collecting them. When dirt road meets concrete you will find a comedor down the hill (just before the village). You will be very hungry since it will be around 2pm but the wait is worth it. The lady there will be cooking with love fried fish, chicken or porc with rice, beans and vegetables. Count 130 for a big filling plate. 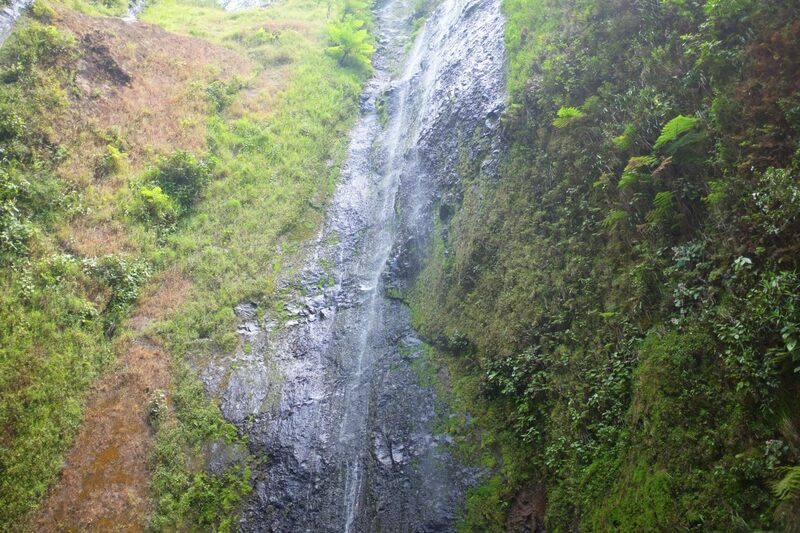 From there, you have two options stop at Ojo Del Agua, if you have not done it the day before or go around the northern part of the island. 4. 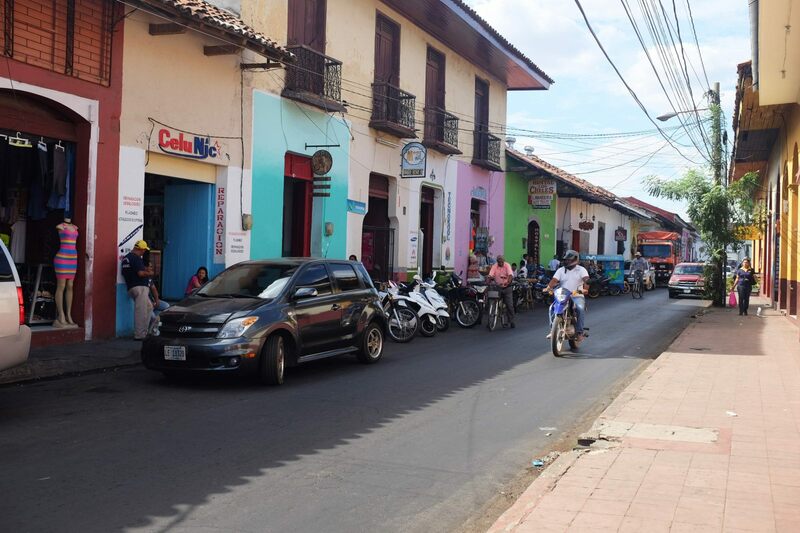 Balgüe, Santa Cruz & Santo Domingo - optional stops for a drink, a jump in the lake or a booking at the famous hostel El Zopilote. 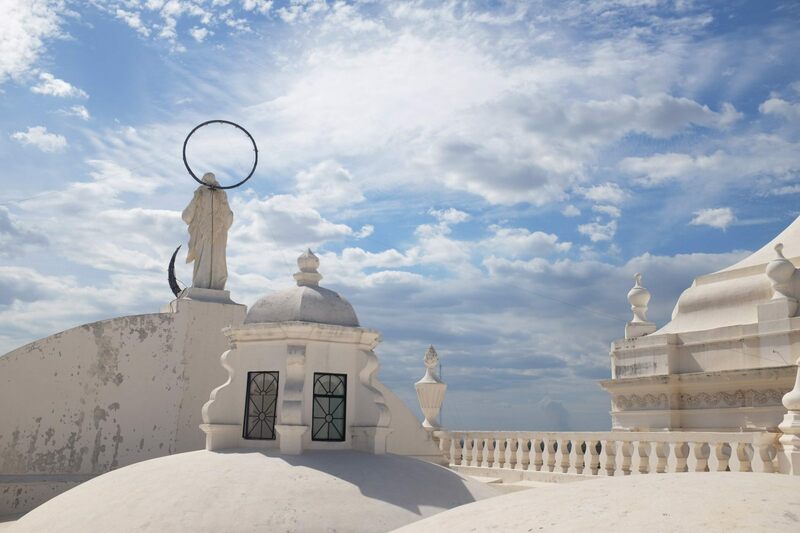 Even if you do not plan on staying there, it is worth checking it out. Wal up for 7 minutes until you arrive in heaven with lots of monkeys and jungle around you. 5. 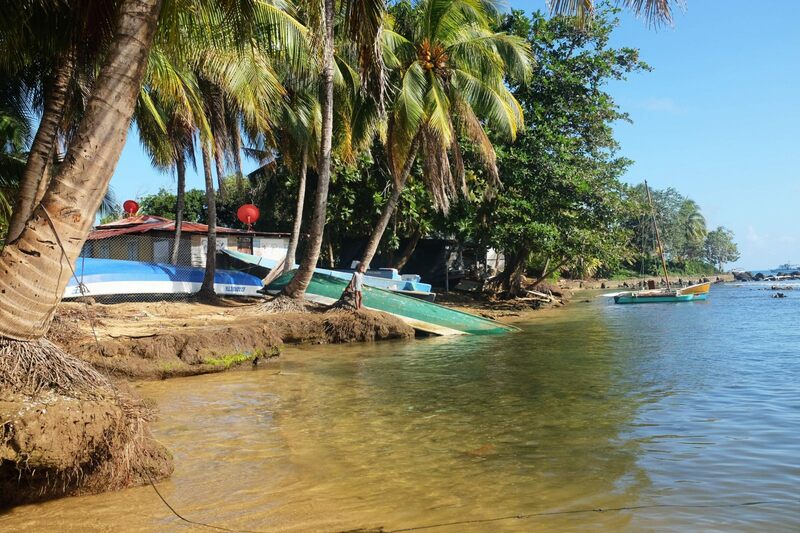 Altagracia - if you’ve decided to see the northern part then you will meet soon the second biggest town in the island, Altagracia. From there you will head north towards a sandy road where you will rid around the second volcano of the island. 6. Concepcion Volcano - Sunset is coming soon so you will have the sun in front of you and the volcano on your left. Stop for a picture, the show is spectacular. 7. Punta Jesus Maria - hurry up you have only half hour left, but that’s probably for the best. 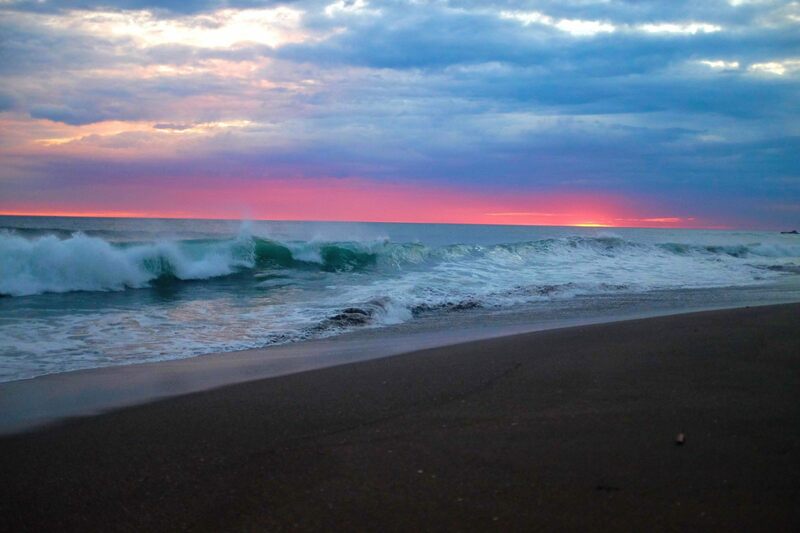 Even if you’ve done it the day before, it’s worth seeing it again since we all know a sunset is different every night. 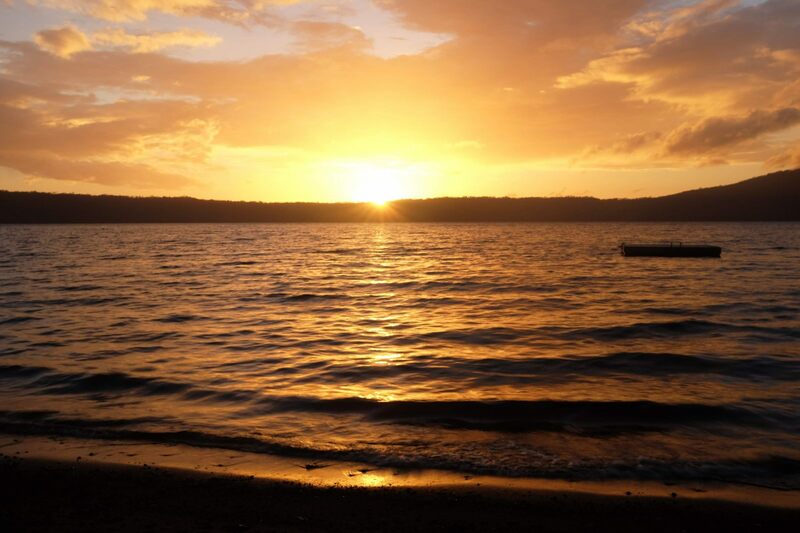 Have a swim in the lake, look back for the volcano scenery and see the sun going down. Time for a group picture and lots of giggle, what a day! 8. Moyogalpa - time to head back, 7pm is coming soon. Fill in the tank and return back the bike to the hostel. Time to cheer with some Nica Libre! Warning: You may get flat tires during your trip but no panic, there are lots of people on your way that will be able to fix it within 30 minutes for $10. 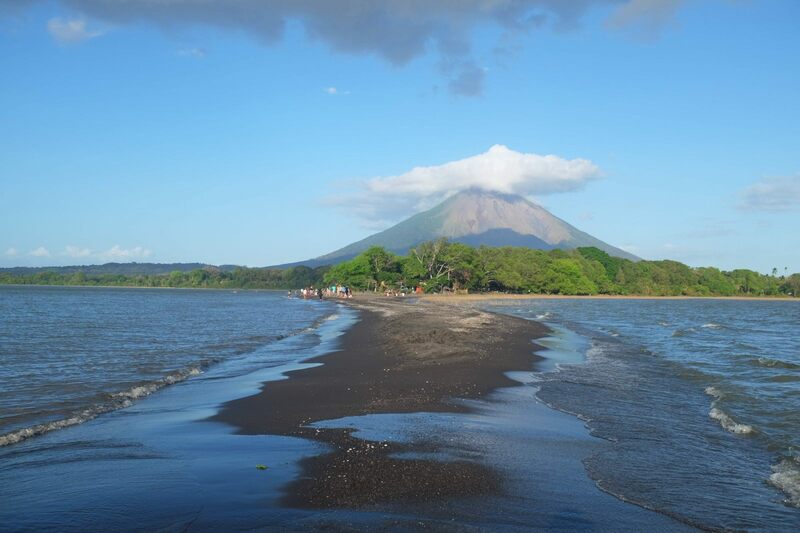 From Ometepe, take the ferry from Moyogalpa, there are running very often every half hour. 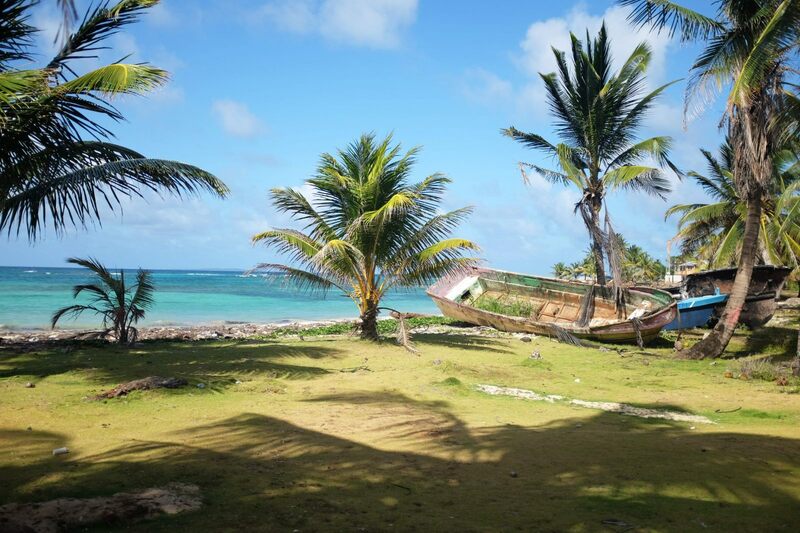 At San Jorge, get a taxi straight to Popoyo for $30 if you’re 3. It will take you about 1h15. 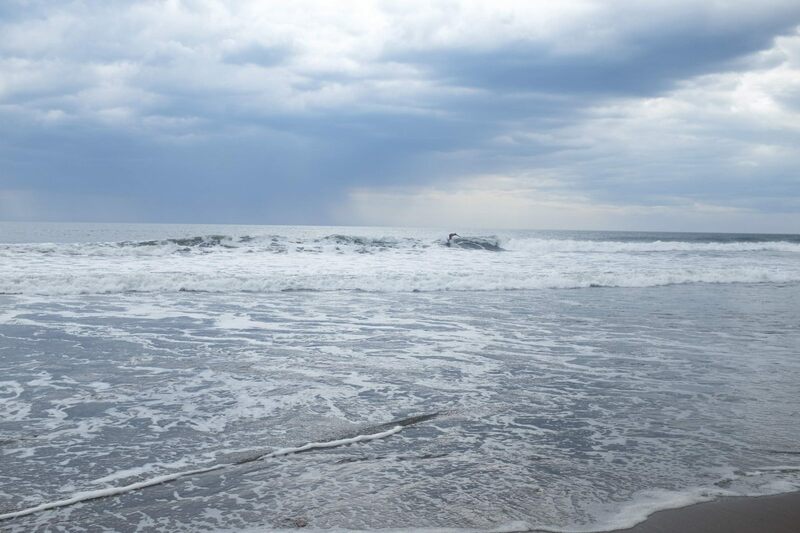 Popoyo is a wild beach on the Pacific Ocean, beautiful long sand beaches with almost no habitation. 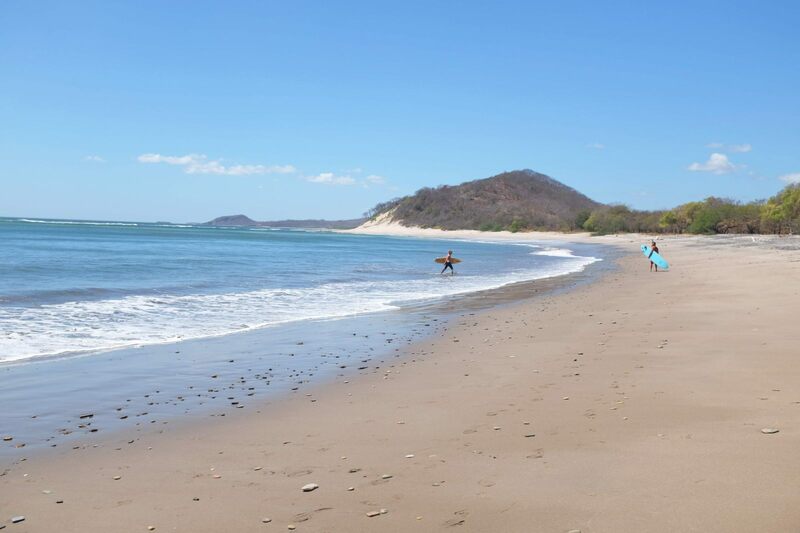 Perfect spot for advanced and beginners surfers, swimmers and to RELAX! 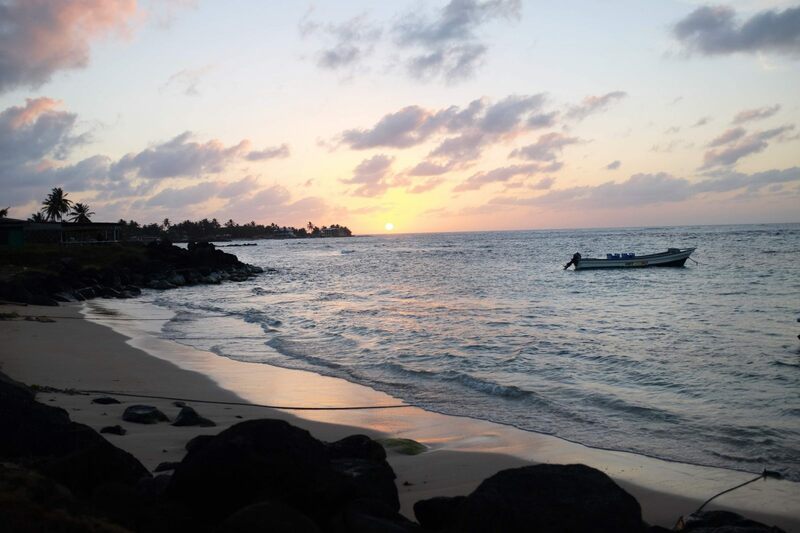 If you go to the Bahia, there is a big rock where you can sit and enjoy the sunset. Popoyo is very windy so beware of your belongings as well as your eyes. Some people get eye infection from the sand, sun and wind. Don’t waste your time or money calling La Costeña airline, you will be waiting forever. The best way is to either book it through a travel agent (ask your hostel they may know some) or if you’re in a rush, book in online ($18 extra online booking fee). 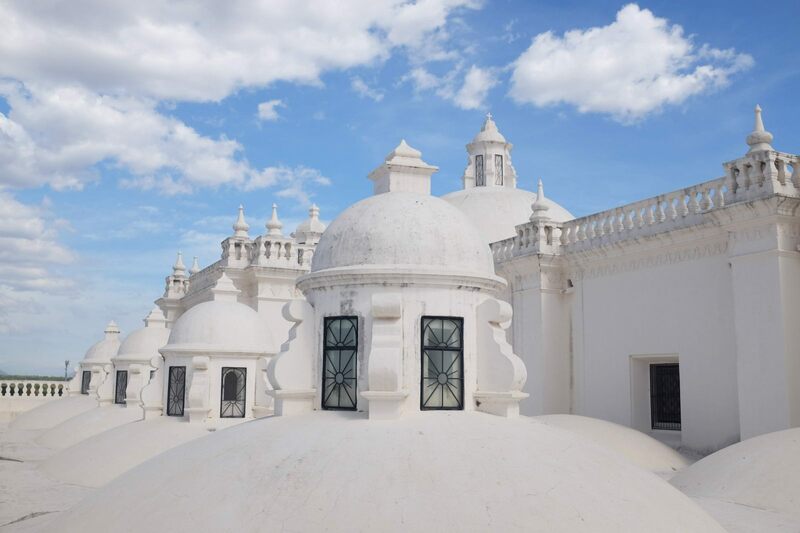 Through the travel agent you get an open return flight whereas online if you book the return trip it will cost you an extra $40 to change your return. 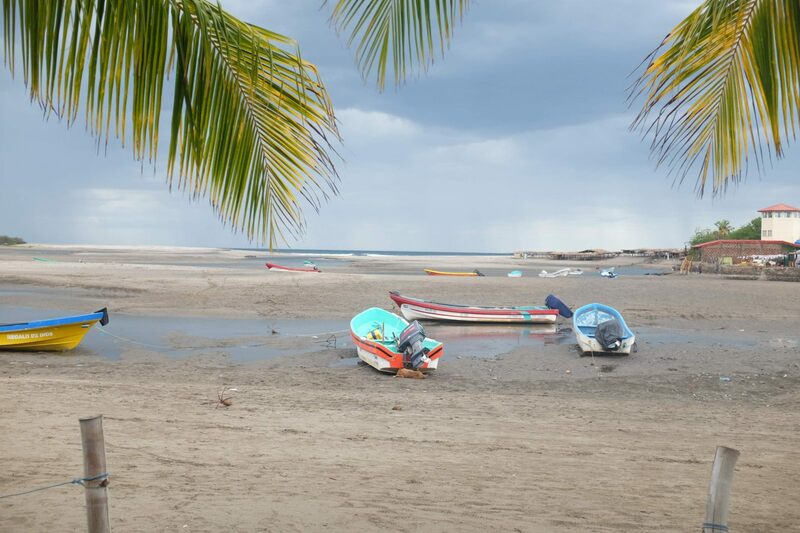 Managua - Big Corn Island last minute booking should cost you between $185 and $220 round trip. Ike and his wife will welcome you with a great smile. You can get a private room with two separate beds, AC, fan and bathroom for $30. Discount on further nights. 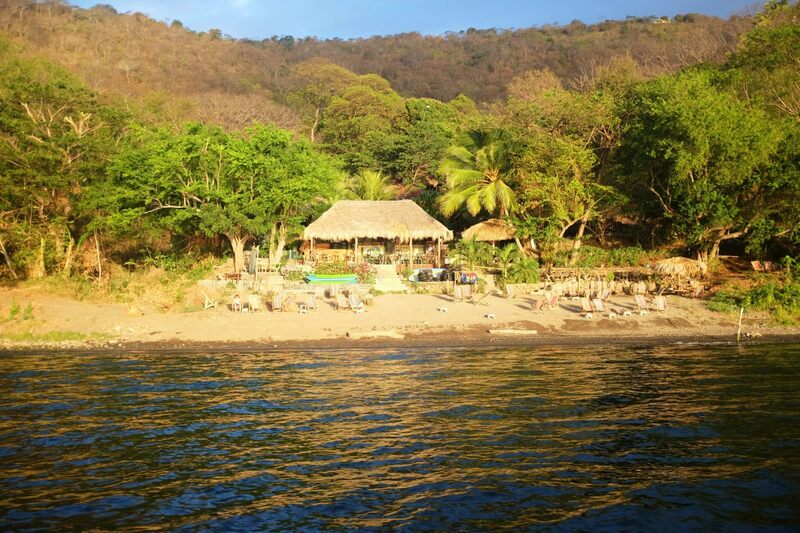 Best Nacatamales in Nicaragua and perfect spot for watching sunset on the island. - Sava’s for dinner - Shrimp, lobster and entire filet with Caribbean sauce is a must for $9! For starters, plantains with goat cheese and a victoria frost will make your evening! Located on the north end of the island, another 5 minute after Big Fish. If you ask the locals where is the party they will all reply "Darrin's Place". Not on the map, so best thing to do is ask a taxi driver to bring you straight to the dancefloor! Local music, cheap rhum and shots, you're in for a great night! 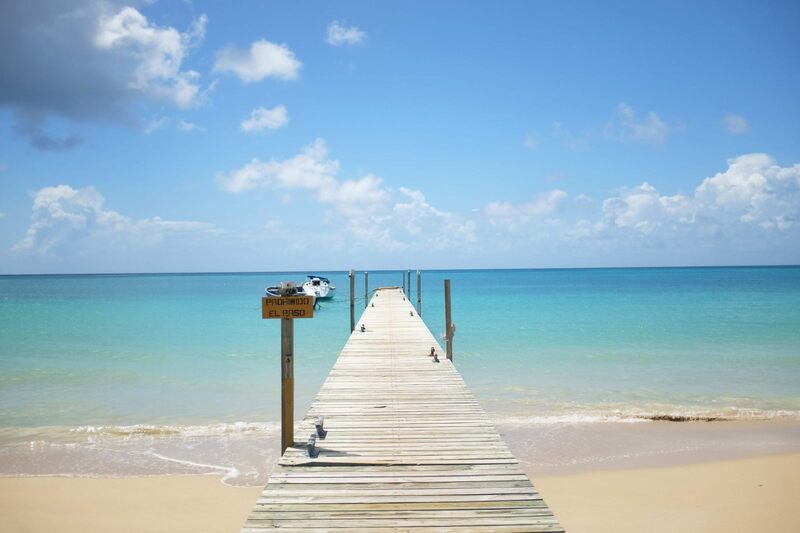 - Picnic Center Beach: long white sand beach with turquoise water and no wave. You can even see the plane landing above your head. Tickets are $6 one way and it takes about half an hour. 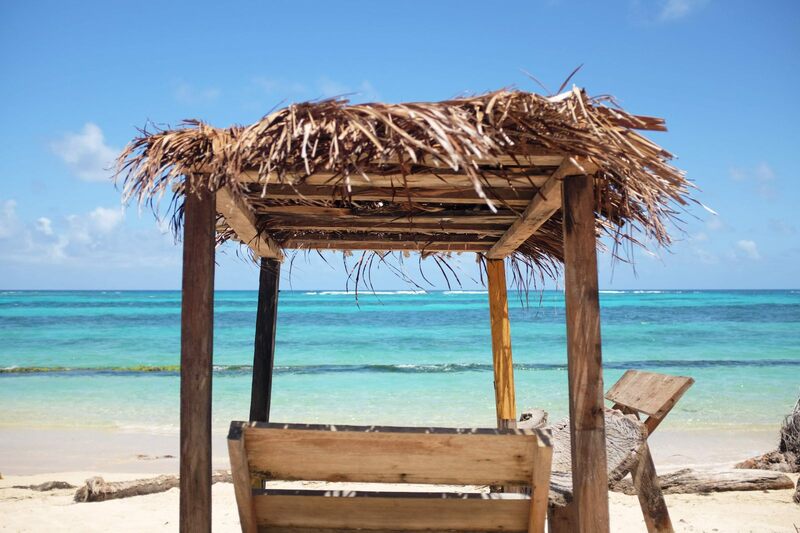 Elsa Sweet Breeze Place - Perfect spot to relax on the island, away from El Tranquilo center, with cabins right on the beach and the most delicious Caribbean breakfast! 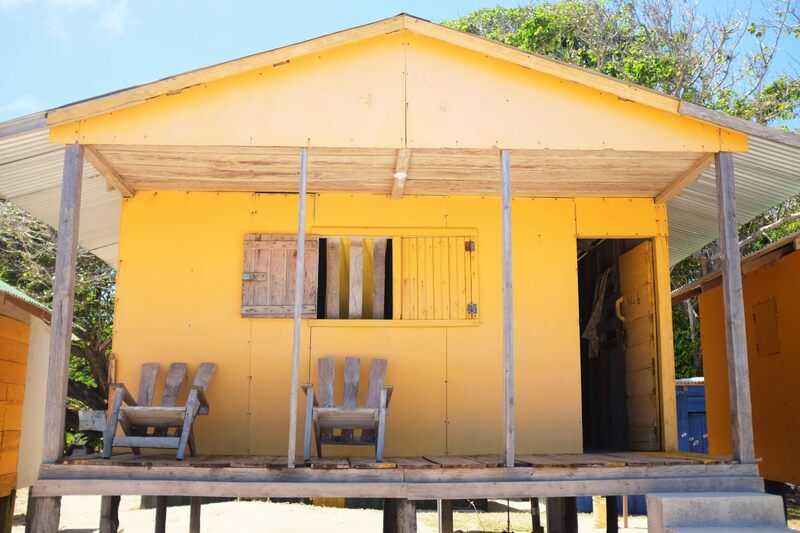 Cabins are $35 for 2 separate beds, private bathroom and feet in the water (almost!). Breakfast, Lunch & Dinner as well as laundry. 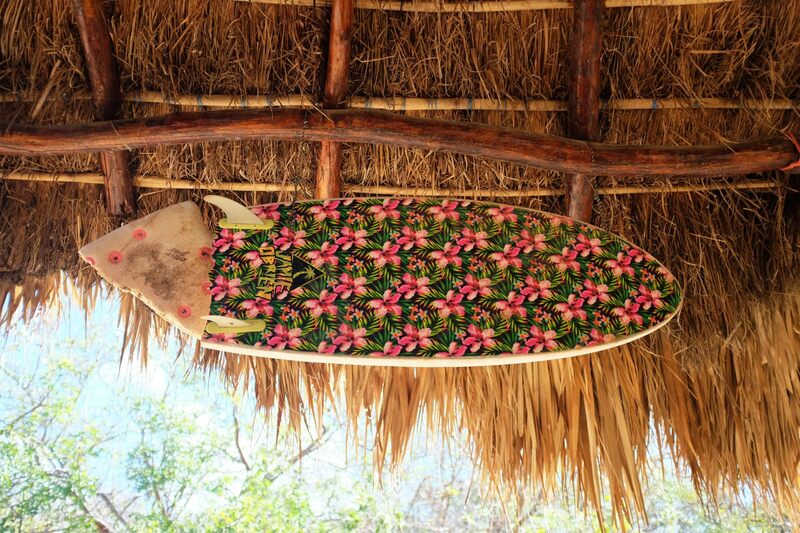 No wifi, no beers - perfect spot for a detox from the crazy parties! 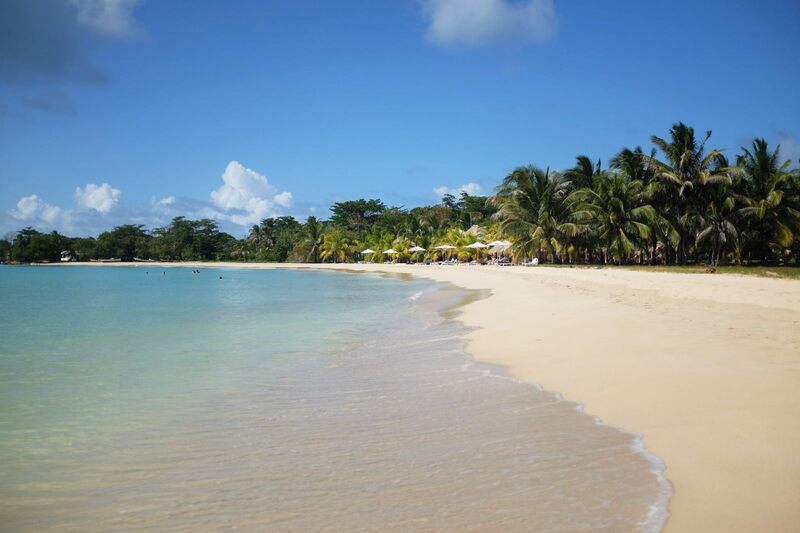 You can book all the activities such as snorkeling, diving, kayak, paddle through them as well! 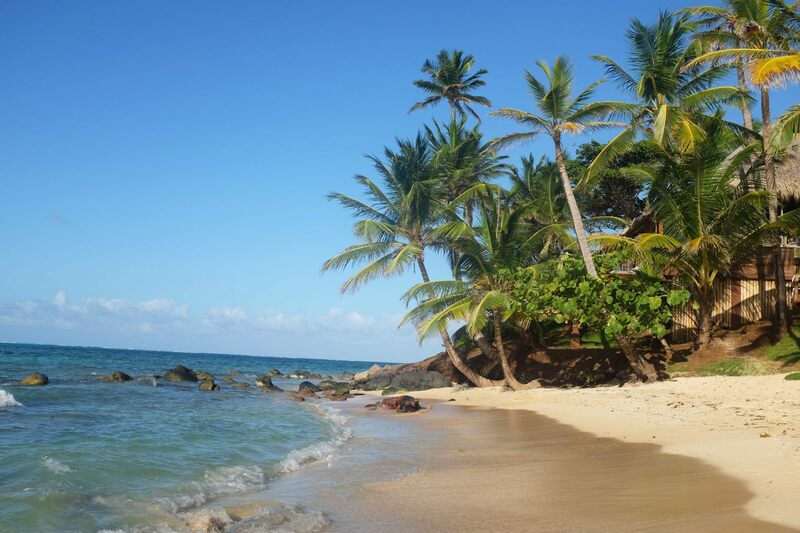 You can recover Little Corn Island in about 2 hours. 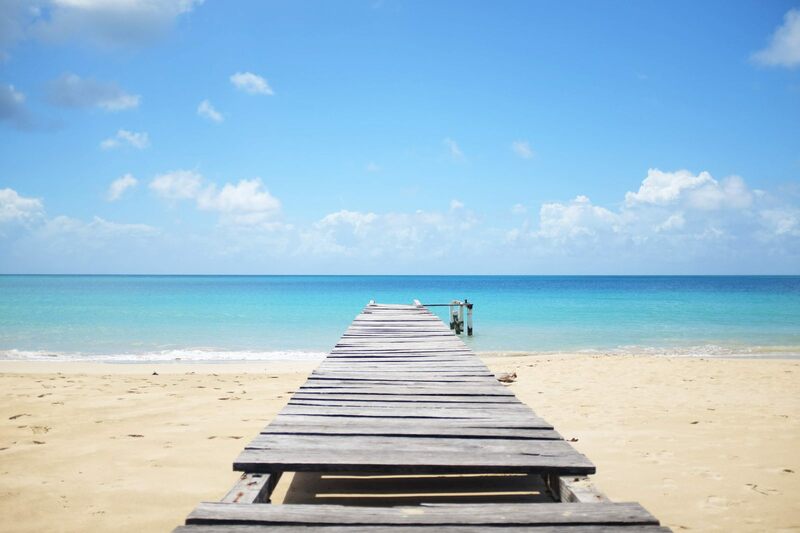 So instead of staying on one beach, I'd suggest you explore it all. No way you can get lost, there is only one path and no cars! 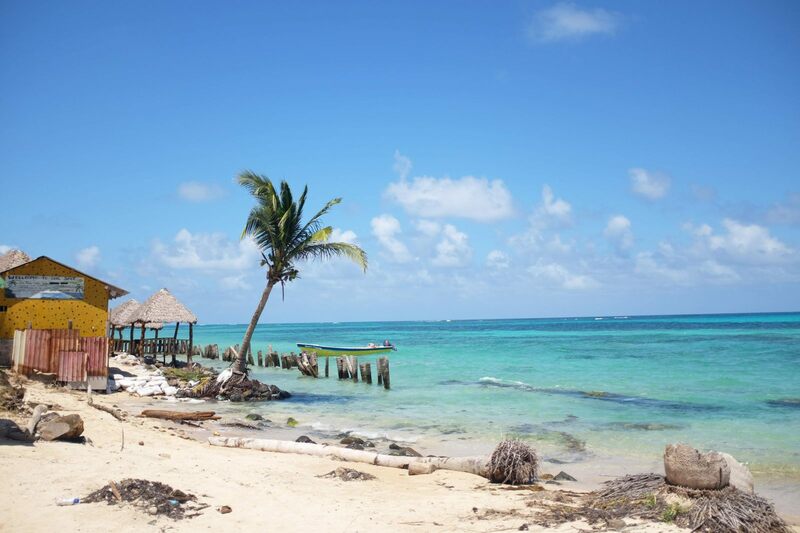 Starting from Pelican Beach near Hotel Los Delfines you can check the locals' beach in front of Three Brothers Hotel on your left and then head north towards Otto Beach Bar. It's about 30-minute walk, crossing the Baseball field. 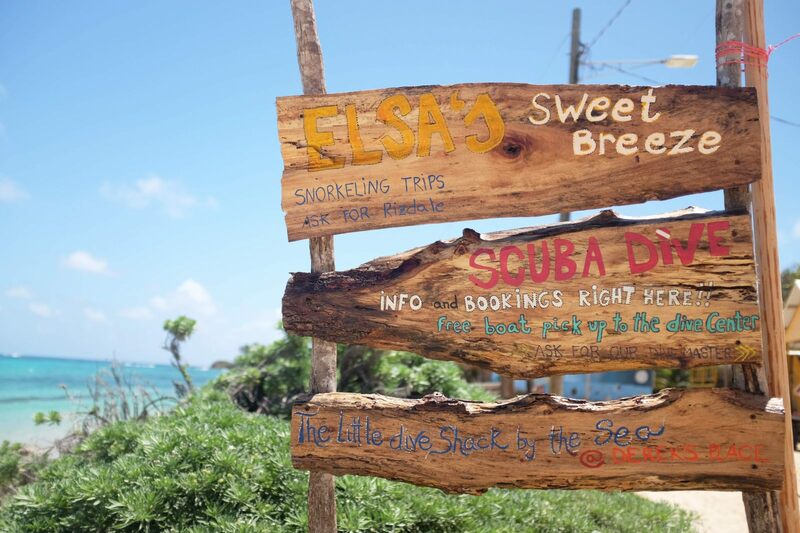 You will pass by houses, palm trees and banana trees and you should only follow the sign Yemaya Spa. Now open your eyes, the show is spectacular! From there you can carry on walking on your right and find the most beautiful and desert beaches were palm trees are more popular than tourists. 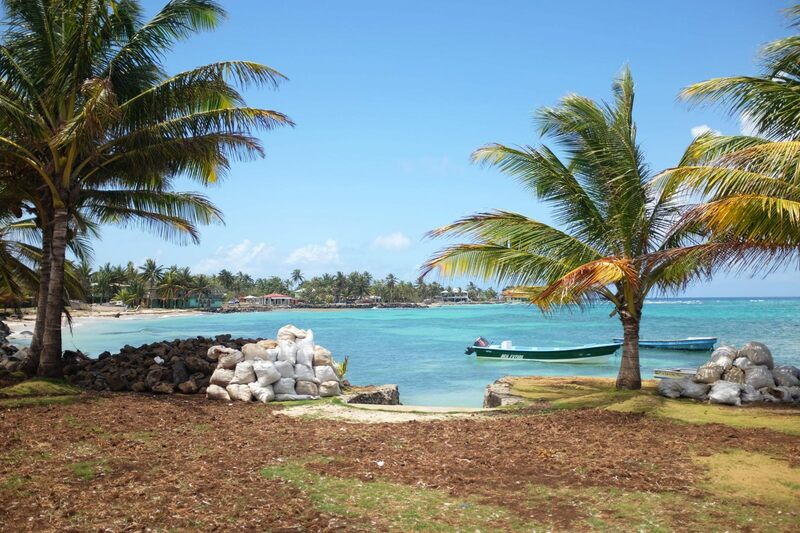 You will pass by Ensueños Hotel, Kite Little Corn School and then come back to Elsa's Place. Enjoy because it is very rare to still have desert beaches in this world and it is very much appreciated! From Managua airport, the best way to get to Leon is to cross the street from the airport, wave at a taxi and ask him to bring you to UCA Bus station. Negociate a $8 fare for 2. 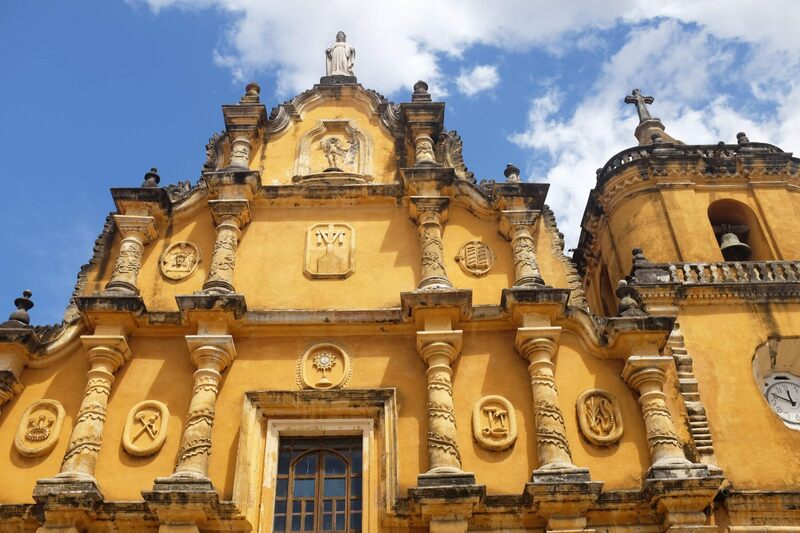 From UCA Bus Station get onto a shuttle to Leon for C$ 54. Make sure to ask the driver if you have to pay for your backpack because they may be sneaky and at arrival when you have to pay, you can have a surprise! It takes about 1h30 to get to El Mercadito Terminal bus. From there, take a Tuk Tuk or a taxi (same price) to your hostel. 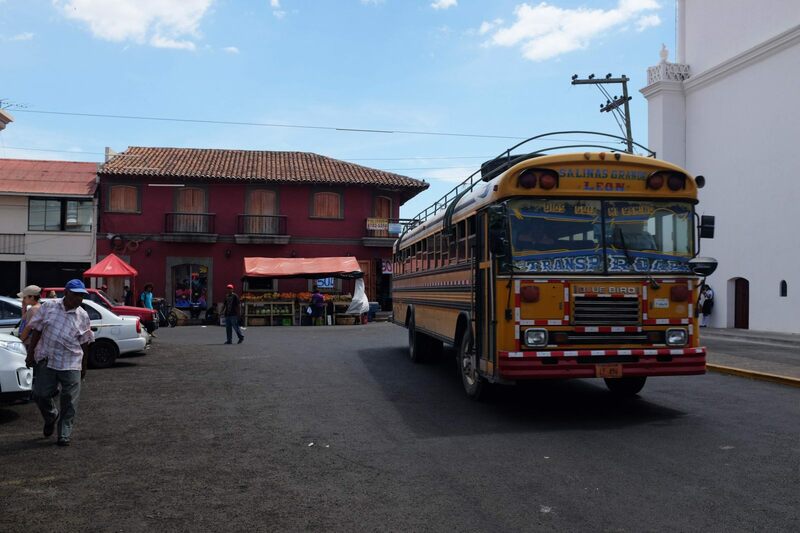 Local Bus in Leon - also called "chicken bus"
- Bigfoot Hostel: Their specialty is Volcano Boarding. 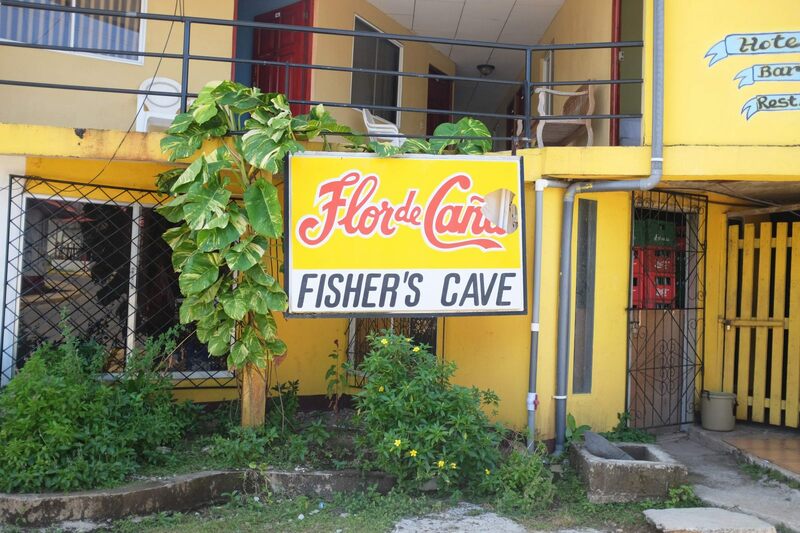 They're also well-known for being a party hostel. FREE Wifi + swimming pool + billiard + restaurant for $10 a dorm with fan. 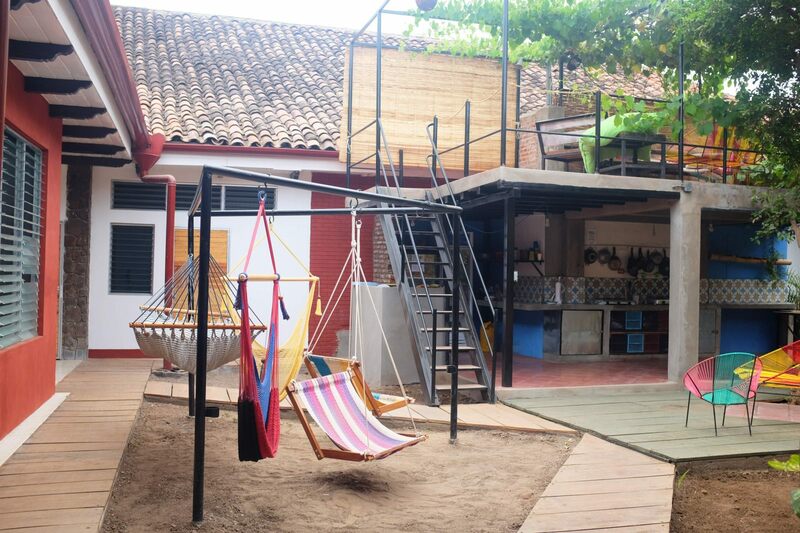 - Poco a Poco: $9 for a dorm, brand new hostel! 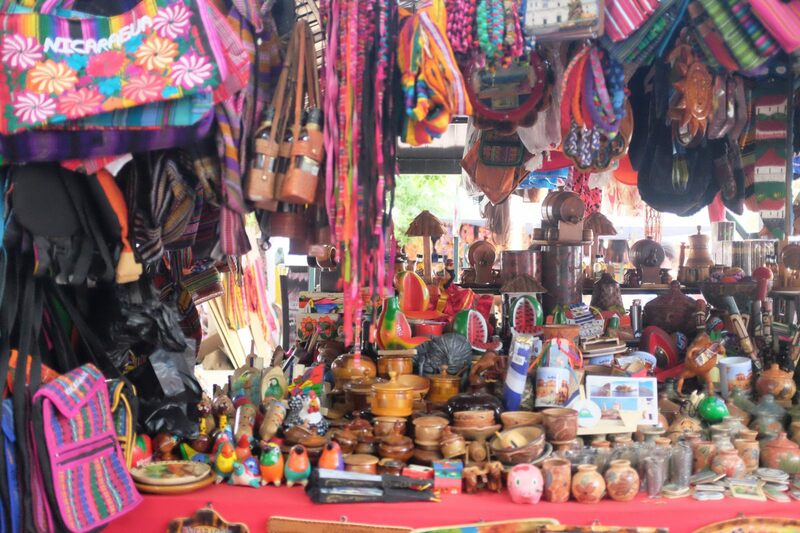 From Leon, jump in a taxi to El Mercadito Terminal Bus for C$ 30. 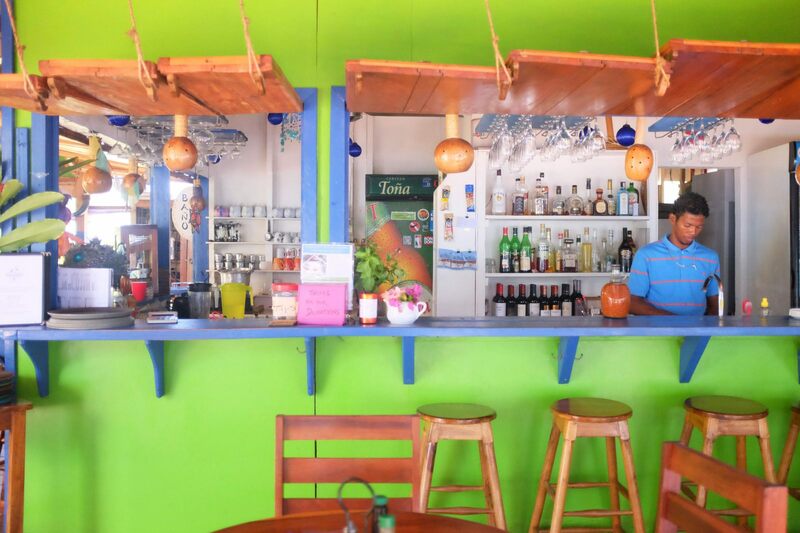 Ask the taxi driver to drop you off the bus to Las Peñitas. 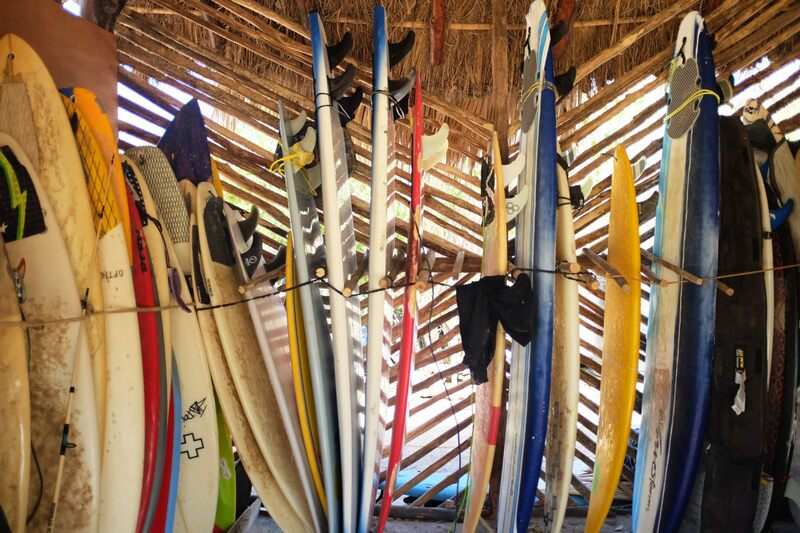 You will share the ride with locals heading all the way down to the beach. Fare is C$ 13 and it will take about 45 minutes. Tell the bus driver or the other guy collecting money where you want to stop (hotel or hostel). If you do not know yet, stop at the Terminal and walk around to find a hostel, there are a few nearby. 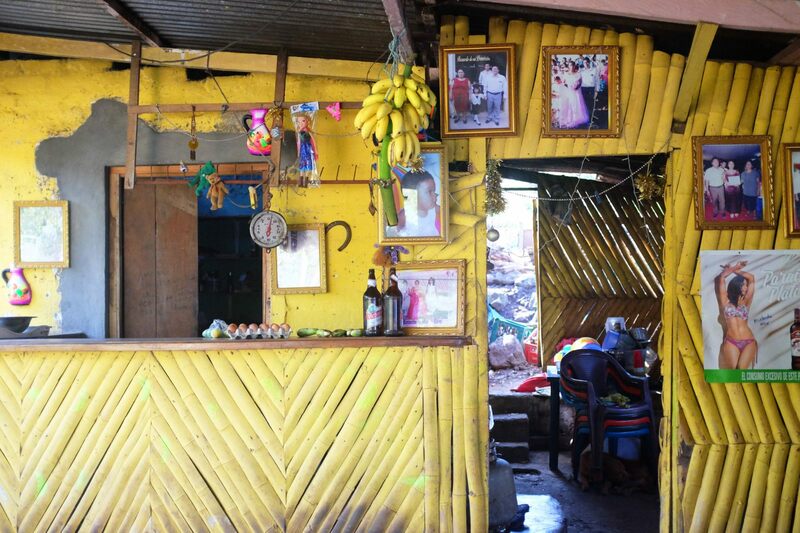 - Barca de Oro : For $7 a dorm and a welcome juice, you've just arrived in a very relaxing atmosphere. 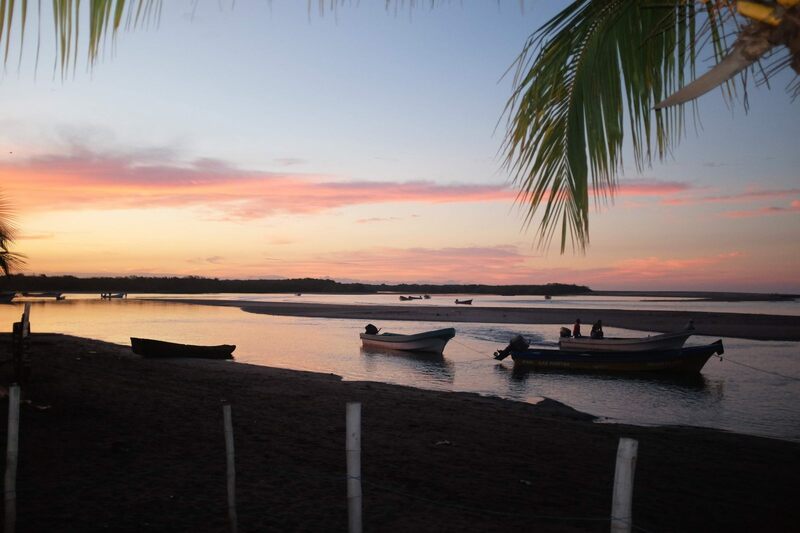 Right on the estuary were fishermen park their boat, the beach is a few minutes away and can be seen from afar. 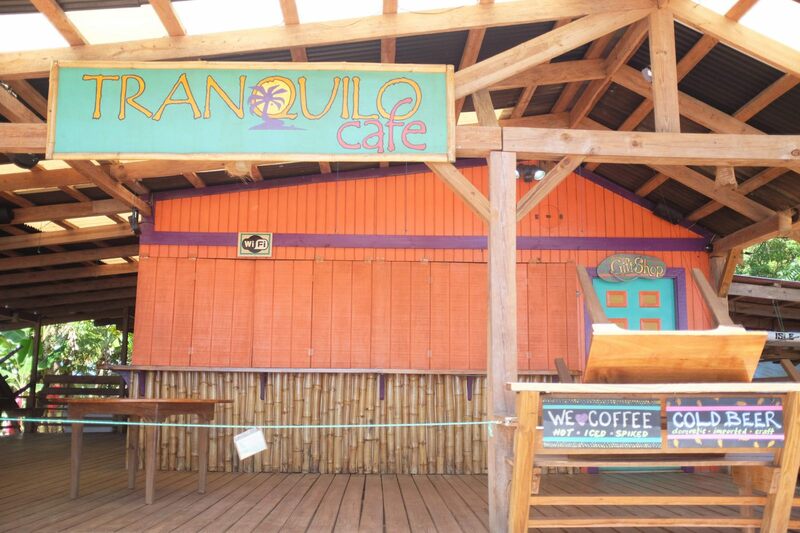 They have a restaurant, Free wifi, Hammocks and a billiard. Yes you're gonna end up staying longer than expected, trust me!